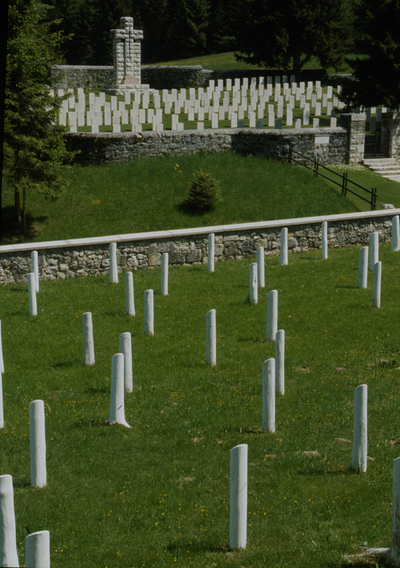 The cemetery is permanently open, though from November to May it is rarely accessible due to deep snow falls. 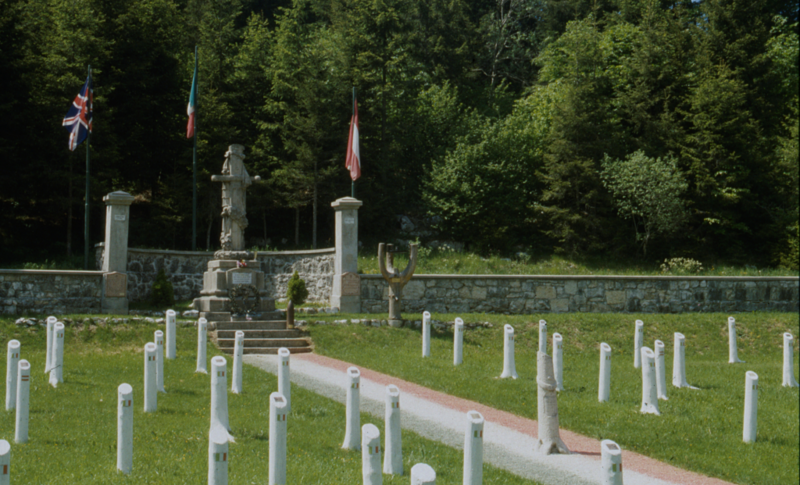 The British and the Italian/Austro Hungarian Cemetery at Magnaboschi are situated facing each other. 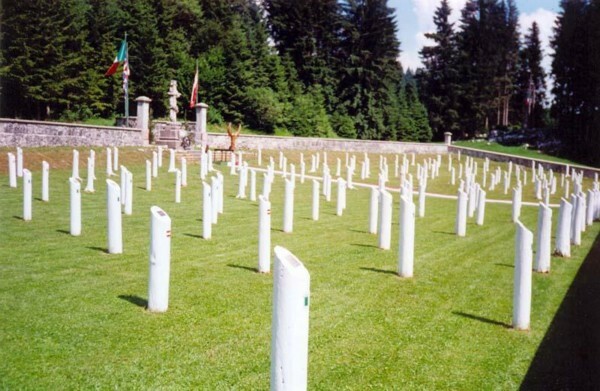 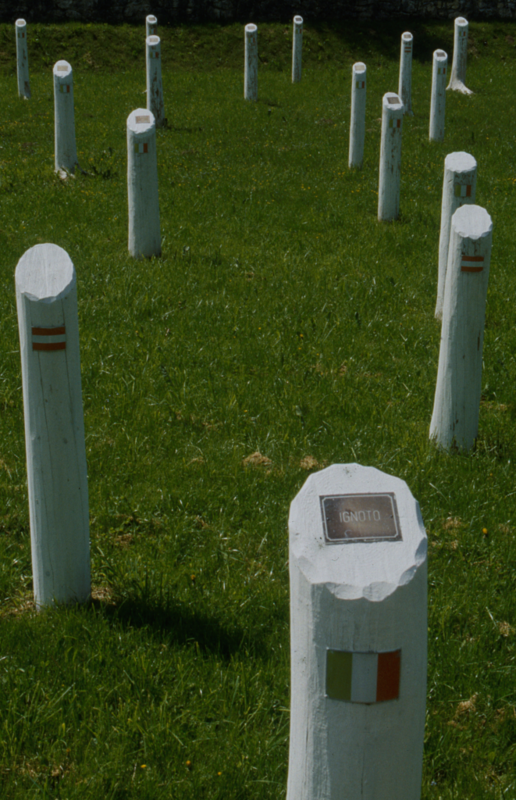 The Italians have cut down the appropriate number of trees from the forest to signify the number of burials, painted the stumps white and affixed a memorial plaque on the chamfered summit. For the burials opposite the British cemetery are Italian (1739) & Austro-Hungarian (596). The 3 flags are, from L to R, the Union flag, the Italian, & then the Austrian (red & white). 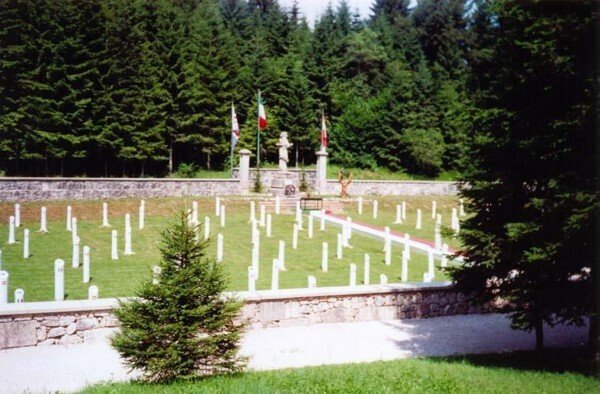 The sawn-off tree-trunks show the flags of both of the latter armies, not just of the Italian.